We focus on bringing your dealership quality leads and providing the products you need to be more efficient in your day to day operations. 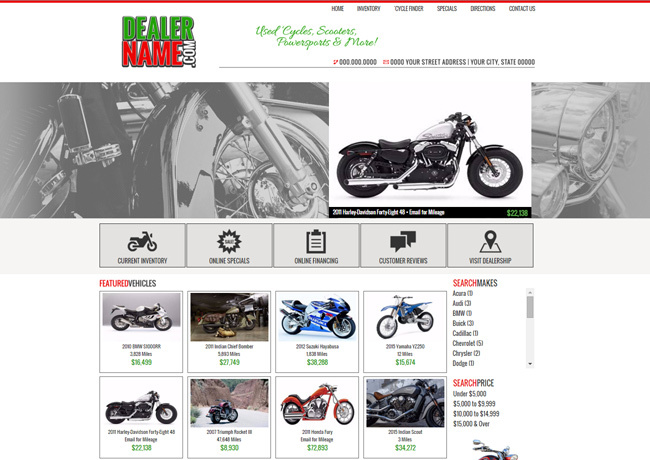 CycleSearch.com harnesses the proven power of Carsforsale.com with a dynamic inventory portal built just for motorcycle and powersports dealers. 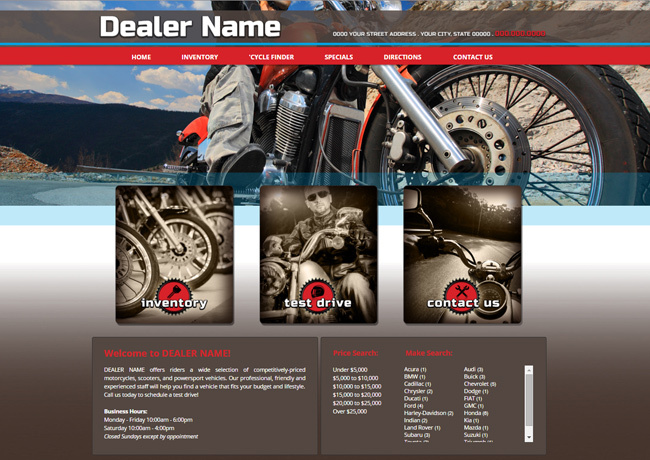 With optimized motorcycle and powersports inventory pages and a clean responsive design, consumers find it easy to search and contact you when buying their next ride. 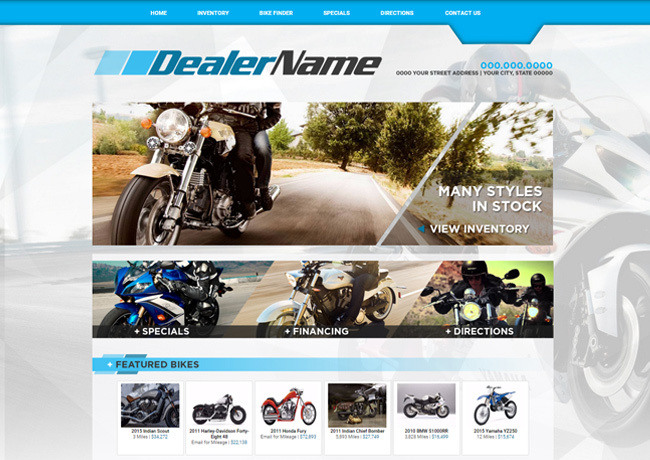 In the automotive game for over 15 years, CycleSearch.com has tapped into the Carsforsale.com team and their passion for motorcycles and powersports to bring you the products you deserve. 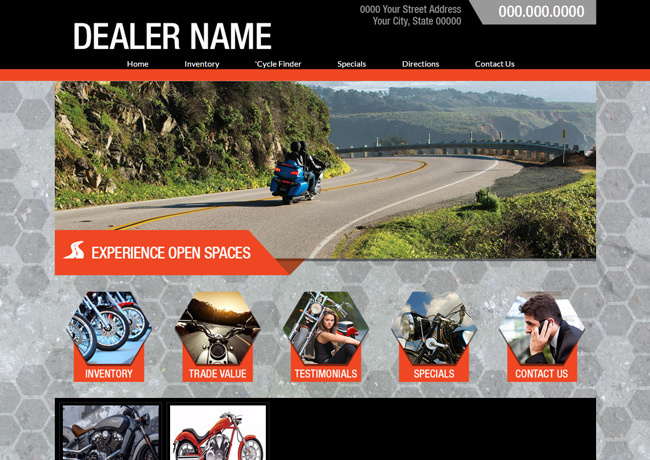 Put simply, CycleSearch.com specializes in internet marketing. 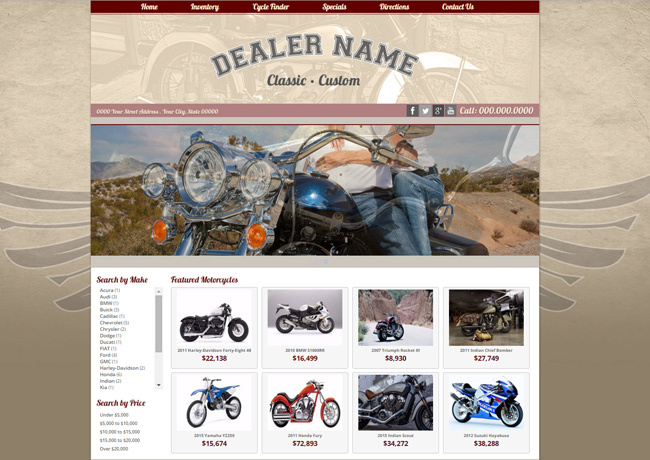 Our automotive classifieds website offers simple and easy to use search functions for buyers to find your inventory. Offering dealers great products at an affordable rate is our foundation. 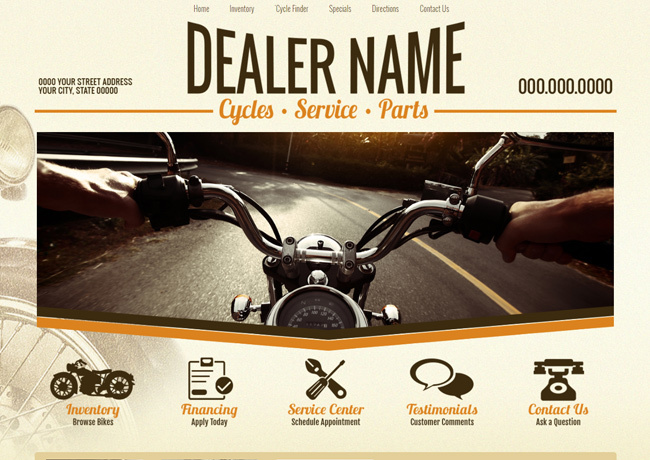 CycleSearch.com is designed to simplify and organize your dealership operations. This intuitive dealership management center will take the ‘complicated’ out of your day-to-day. A fully integrated dealership inventory management tool, get your inventory online faster and sell it sooner. A comprehensive lead management system features lead tracking from initial contact throughout the sales process. Built to suit, our powerful websites represent your brand. As your 24 hour virtual showroom, it is our goal to understand your dealership and customers to build a lead generating website that represents your business. Access the reporting features you need to make smarter business decisions and increase profits. Easily view and measure the health of your dealership with these robust reports. Don’t want to load your inventory? Set up an inventory feed from your current provider and we will import your lot for you. We work with hundreds of partners to make your life easier. Printables will make your life easier with custom templates for your frequently used buyers guides, window stickers and mirror hangers. Easily print these items for your entire inventory at one time. Your entire staff can have secure login credentials with assigned permissions. Each user can manage their leads and track follow-ups, add and sell inventory, making your dealership more efficient. Easily drag and drop your photos for each of your vehicles. Save valuable time when managing your inventory photos. On the lot or on the go, our completely responsive web design allows you to sign in and utilize the system on any device. Access the core of your dealership from any device at any time; desktop software is a thing of the past. Increase your dealership efficiency with this cloud based, fully secured system. 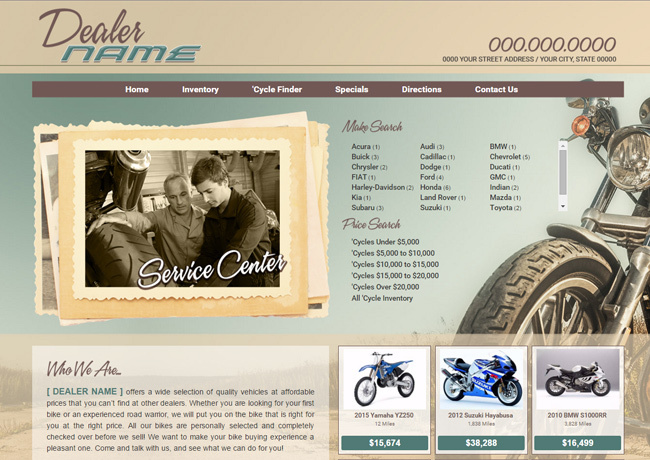 Our Dealer Support staff is dedicated to the success of each and every one of our dealers. Directly from our South Dakota based headquarters, all representatives are here to make your life easier. With CycleSearch.com, you will never pay extra to set up one or multiple exports for your inventory. We understand how hard it is to maintain multiple inventory sites, which is why we have developed the necessary relationships to simplify your dealership's automotive marketing. 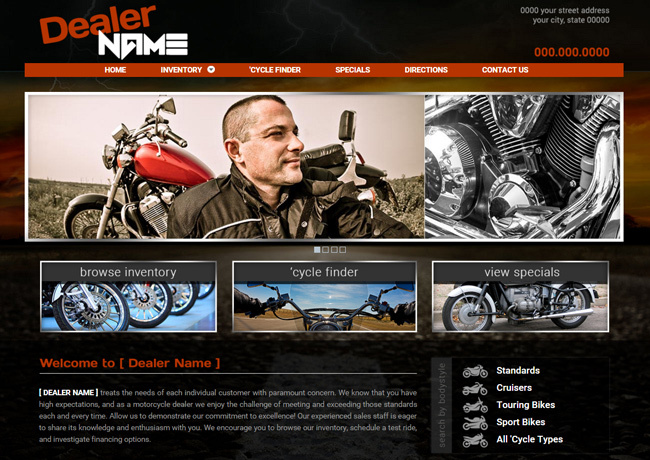 CycleSearch.com offers even more opportunities for displaying inventory with our national vendor partnerships and social media tools. These export partnerships enhance your dealership's marketing and inventory exposure. 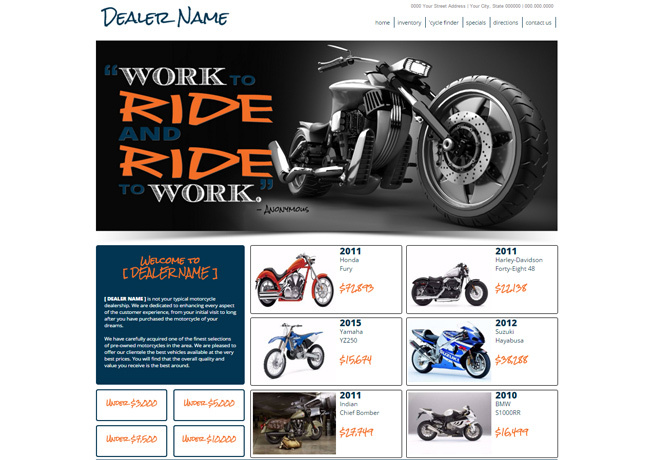 CycleSearch.com and Carsforsale.com work hand in hand to support the needs of motorcycle and powersports dealers while providing the leads you deserve. 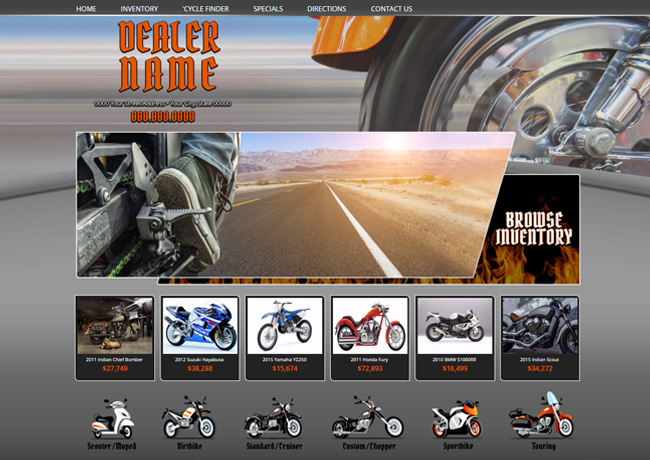 Dynamically showcase your inventory and dealership with your choice of layout, menus, font and logo styles – the combinations are endless. The reality today is that over half of your audience is accessing the internet via a mobile device. 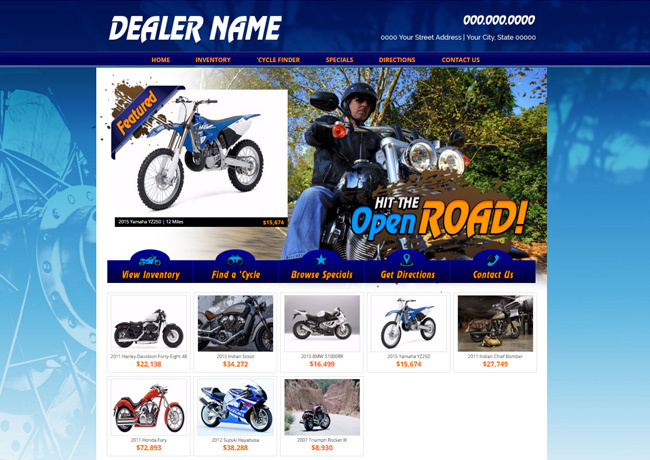 CycleSearch.com’s mobile dealer websites provide a seamless viewing experience for your customers. Quickly and easily track all aspects of your website from clicks and visitors to referral traffic. 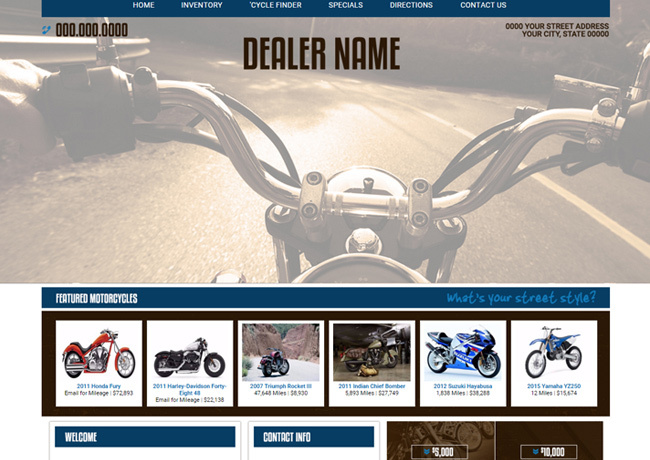 CycleSearch.com will make hosting and updating your website hassle free. Our staff has extensive experience training on our products and one-on-one dealer training is available at any time. At CycleSearch.com we work with you to determine the best optimization for your website to climb the search engines and increase visibility. 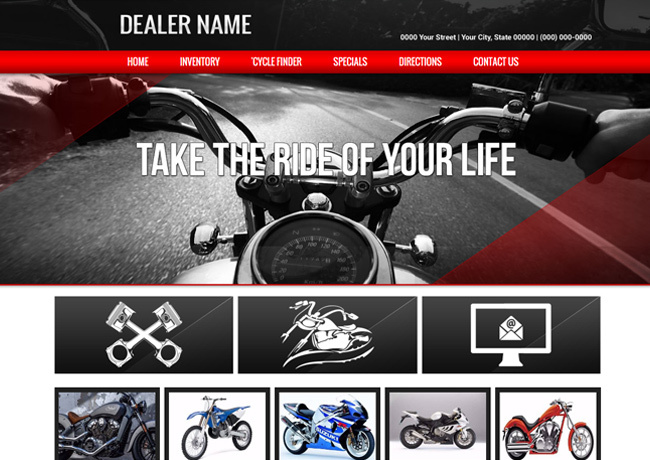 Our ultimate goal is to help ensure your dealer website is where your customers are most active online. With millions of users, social media is a great outlet to reach untapped buyers. Applications for Facebook, Twitter, and YouTube help extend your reach even further by promoting your auto dealer website and inventory to social media users. 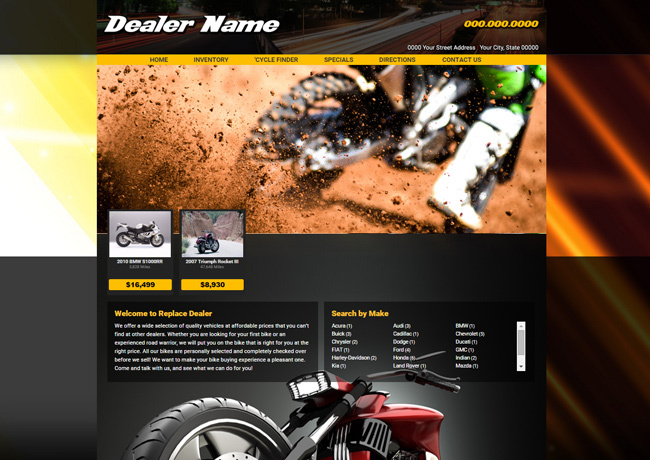 Websites by CycleSearch.com will take your dealership’s web presence to the next level. With websites accessible on all your customers’ devices – from smartphones to desktop computers, your inventory will be available anywhere. 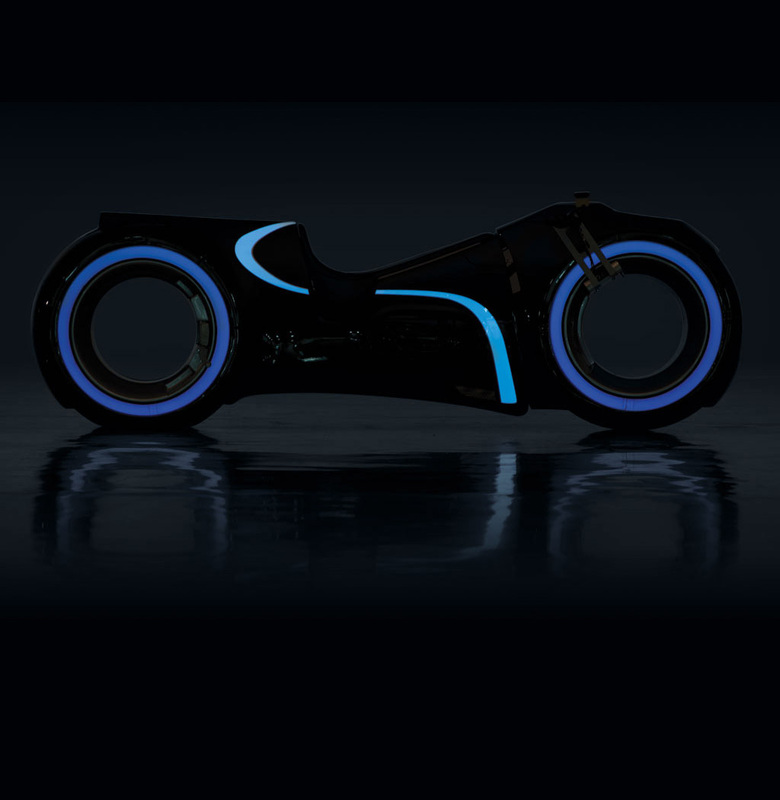 Built as a replica of the Light Cycle from the 2010 film TRON: Legacy, The Andrews Collection 2011 Custom Electric Motorcycle was purchased by Carsforsale.com in a RM Sotheby’s Auction on Saturday, May 2, 2015 for a final bid of $77,000. 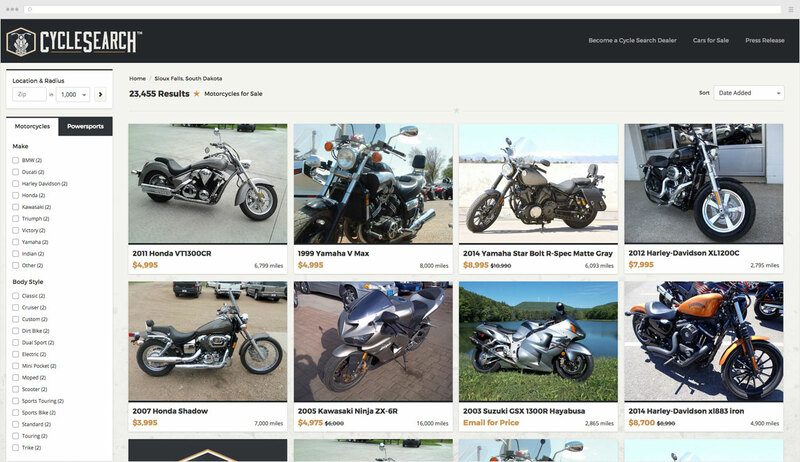 The purchase of this unique motorcycle draws much attention to Carsforsale.com and its latest motorcycle industry spinoff CycleSearch.com. 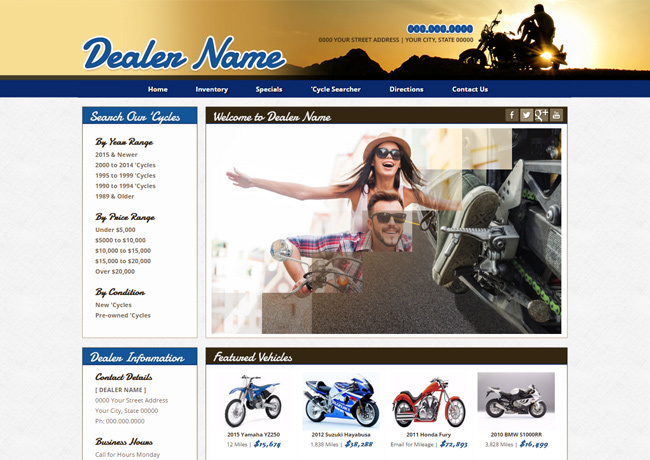 The excitement surrounding both the launch of the new website and gaining one of the most futuristic motorcycles on the market assists in promoting new industries that Carsforsale.com looks to serve. 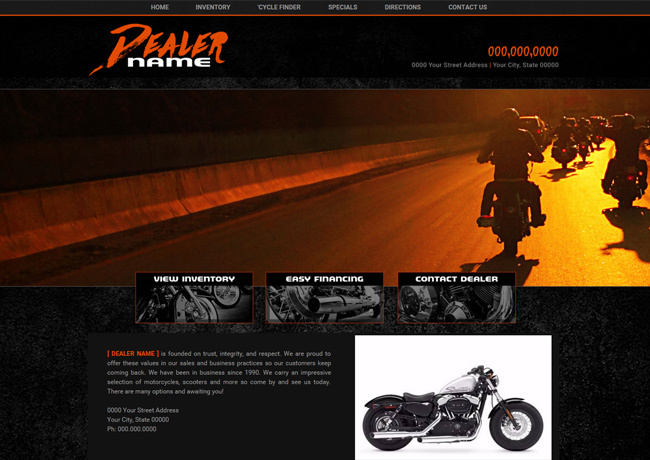 The motorcycle industry and cycle owners alike have been underserved in the online and mobile search space. The launch of CycleSearch.com is only the beginning of serving this market. 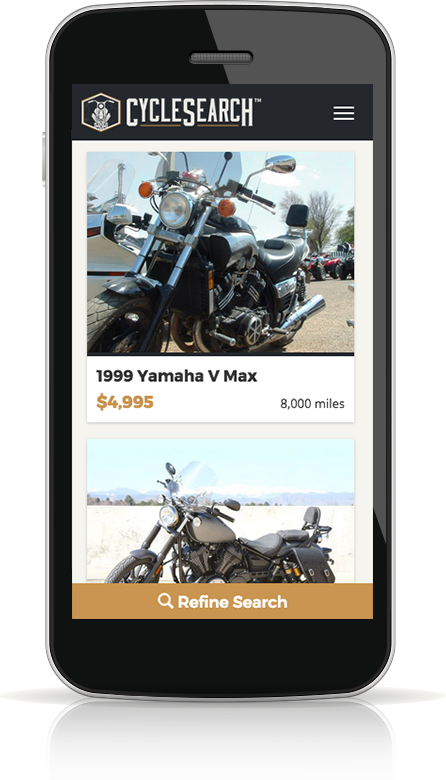 CycleSearch looks to improve its offering as the needs of online motorcycle shoppers expands. Much like the Light Cycle replica, the website can be test-driven, but most likely opportunities for improvements will be presented. With the help of Carsforsale.com, CycleSearch.com will soon be firing on all cylinders, or like the Light Cycle, on all 96 Volts. Maximum upload size is 4MB. Allowed file types are JPG, PNG, & GIF.